As HSE First Aid Training is becoming more fragmented, more than ever, unregulated and unqualified trainers are becoming more prevalent. You have just found the best and most reliable First Aid training organisation in the UK founded on 40 years in First Aid. Before you book with any other First Aid organisation, give us a try. We have been approved with the HSE since 1994 and are approved with the leading First Aid at Work industry body. We charge per course and not per student. That means you always know what you are paying for the course. and you will be surprised at the difference in cost. In all of our 25 years as a HSE approved First Aid training company, we have never cancelled a course. It is NOT TRUE that courses have to be accredited by expensive OfQual companies. We are approved and monitored by the First Aid Industry Body (FAIB) to the highest standards required by the HSE. All our First Aid trainers have many years experience in teaching First Aid and all hold teaching qualifications. We do not use part time piece-meal trainers that occasionally train for pin-money. For more information, to discuss your needs to book a course please call us on 01322 666 404 or contact us. 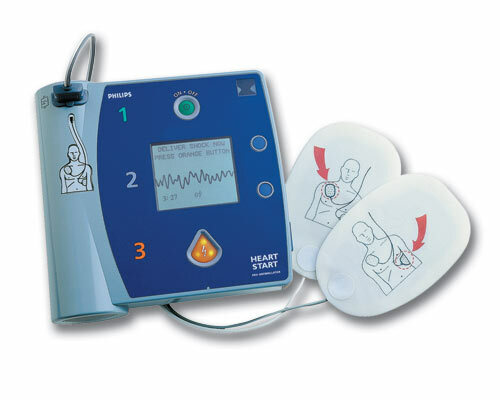 All our First Aid at Work courses now include AED training at no extra cost. First Aid at Work We provide 3 and 2 day First Aid at Work (FAW) courses, 1 day Emergency FAW courses (all FOFATO approved) and Automatic External Defibrillator (AED)training.